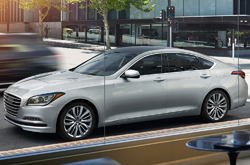 The new 2015 Genesis sedan has seen some improvements over the previous model year. Car and Driver automotive reviewers muse that this is likely the best Genesis ever. 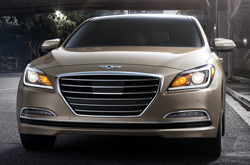 Let's take a look at the changes made to the 2015 Hyundai Genesis in Arlington and see if you agree. We're seeing an updated, sleeker, more modern looking Genesis sedan with a longer wheelbase and a more dramatic, athletic stance. A new grille style with LED front and rear lighting create an impression of fluid movement - in keeping with Hyundia's new design stamp across their entire lineup. Inside, you'll find class-leading passenger volume in a cabin engineered for quiet ease and comfort. Newly designed seats offer supreme comfort support and are highly adjustable. Beyond tactile comfort, the Genesis interior is brimming with the latest technology amenities. You'll also find every advanced safety feature you can think of -- from lane departure warning to automatic emergency braking - offered on the Genesis. Additional 2015 Genesis updates include improved steering and new multi-link rear suspension for a better feel and improved stability. The 3.8 model's 311-horsepower V6 and the 5.0 model's 420-horsepower V8 engines carry over, but are installed on a new high-strength steel platform for added rigidity. Offered in rear-wheel drive and now available in all-wheel drive, the Genesis 8-speed automatic transmission includes Intelligent Drive Mode Select technology to adjust for performance and environmental conditions. 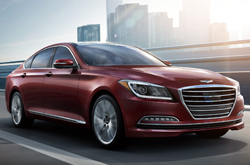 If you'd like to directly compare Genesis to other mid-sized luxury sedans, you'll find a car comparison tool offered later in our 2015 Hyundai Genesis review. The Genesis Coupe is a completely different animal. In Car and Driver's 2015 Hyundai Genesis review, they refer to the Genesis Coupe's aspirations of "drift-king greatness." This year, the Coupe has dropped the lower-performing four-cylinder engine and made the 3.8-liter V6 standard for all Genesis Coupe models. For those rear-wheel drive sport coupe enthusiasts with the right kind of place to test out those aspirations, the Genesis Coupe with the six-speed manual has the chops for it. If you'd like to drive a 2015 Hyundai Genesis in Arlington, stop by Vandergriff Hyundai where you can also find out about Hyundai financing and lease opportunities. In many areas, the 2015 Mercedes Benz E550, Infiniti G37, Lexus IS 350, Scion FR-S, BMW 5 Series and the Audi A4 are exceeded by the 2015 Hyundai Genesis. The Genesis's advanced onboard technologies and affordable cost are just a few of the great characteristics that shoppers will appreciate. You'll definitely see it's a fantastic value when you compare its price to competing vehicles. For more useful facts, check out the Genesis's quick-facts list under this paragraph. 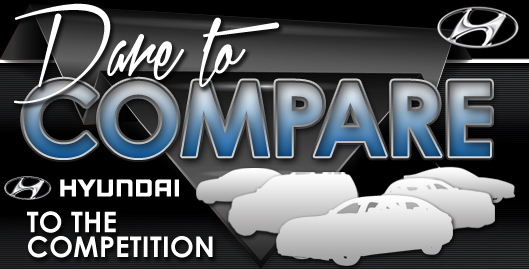 Thank you for reading Vandergriff Hyundai's 2015 Genesis review! Not all car franchises in Dallas-Ft. Worth are the same. We feel it's our obligation to serve customers with quality vehicle reviews; this sets us apart from the typical franchise. Filled with practical material and specs, including powertrain options and other info, each paragraph gives you full access to everything Hyundai's lineup has to offer. Thank you for checking out Vandergriff Hyundai's 2015 Genesis review. Now that you know more about the Genesis, use the form on the right to contact us to learn about exclusive offers and incentives that can help you save a substantial amount on your purchase.